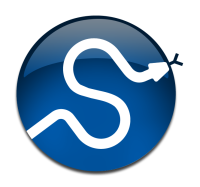 NumPy is the fundamental package for scientific computing in Python. It is a Python library that provides a multidimensional array object, various derived objects (such as masked arrays and matrices), and an assortment of routines for fast operations on arrays, including mathematical, logical, shape manipulation, sorting, selecting, I/O, discrete Fourier transforms, basic linear algebra, basic statistical operations, random simulation and much more. NumPy arrays have a fixed size at creation, unlike Python lists (which can grow dynamically). Changing the size of an ndarray will create a new array and delete the original. The elements in a NumPy array are all required to be of the same data type, and thus will be the same size in memory. The exception: one can have arrays of (Python, including NumPy) objects, thereby allowing for arrays of different sized elements. NumPy arrays facilitate advanced mathematical and other types of operations on large numbers of data. Typically, such operations are executed more efficiently and with less code than is possible using Python’s built-in sequences. A growing plethora of scientific and mathematical Python-based packages are using NumPy arrays; though these typically support Python-sequence input, they convert such input to NumPy arrays prior to processing, and they often output NumPy arrays. In other words, in order to efficiently use much (perhaps even most) of today’s scientific/mathematical Python-based software, just knowing how to use Python’s built-in sequence types is insufficient - one also needs to know how to use NumPy arrays. does what the earlier examples do, at near-C speeds, but with the code simplicity we expect from something based on Python (indeed, the NumPy idiom is even simpler!). This last example illustrates two of NumPy’s features which are the basis of much of its power: vectorization and broadcasting. vectorization results in more “Pythonic” code (without vectorization, our code would still be littered with inefficient and difficult to read for loops. Broadcasting is the term used to describe the implicit element-by-element behavior of operations; generally speaking, in NumPy all operations (i.e., not just arithmetic operations, but logical, bit-wise, functional, etc.) behave in this implicit element-by-element fashion, i.e., they broadcast. Moreover, in the example above, a and b could be multidimensional arrays of the same shape, or a scalar and an array, or even two arrays of with different shapes. Provided that the smaller array is “expandable” to the shape of the larger in such a way that the resulting broadcast is unambiguous (for detailed “rules” of broadcasting see numpy.doc.broadcasting). NumPy fully supports an object-oriented approach, starting, once again, with ndarray. For example, ndarray is a class, possessing numerous methods and attributes. Many, of it’s methods mirror functions in the outer-most NumPy namespace, giving the programmer has complete freedom to code in whichever paradigm she prefers and/or which seems most appropriate to the task at hand.